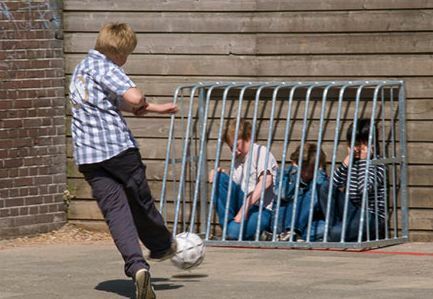 And it seems like bullying is everywhere — it’s not just for the playground anymore. With the rise of social media, cyberbullying has made its way into the dictionary and our lives, and it’s every bit as serious as a physical show of force. While parents must deal with children who are bullied, many parents have children that exhibit the negative behavior. Your Child Beats People Up At School That should be a pretty big red flag. Parents are almost always notified if their children are involved in a physical altercation at school. Does your child beat you up at home? Has your child ever lashed out physically? Coping with anger through physical aggression is never productive or appropriate. The earlier in life that lesson is learned, the better. Your Kid Loves The Internet If you have a child and a computer, there’s a good chance your kid is a cyberbully. According to iSafe.Com, 53% of children in grades four through eight have admitted to posting something mean on the Internet. Monitor your child’s Internet usage as much as you can, especially usage that involves interaction with others. If that’s not enough, consider disallowing your child to participate in social media until they’re responsible enough to practice kindness and etiquette online. Your Child Is A Giant Snob Exclusivity breeds rude behavior, and social cliques at schools are common. These can be hurtful breeding grounds for picking on excluded children. Talk to your children. Let them know that people who are not as privileged, who look or act differently, or those with disabilities are nothing to be afraid of. They’re also not people you should make fun of. It’s OK to have a social group — this is a natural part of every person’s development. But make sure that the friendships and their intentions are perennially positive. Snobbery denotes some fundamental insecurity about those not like ourselves. And sometimes the most popular kids are the ones who are nice to everyone. Encourage your child to be open, curious, and kind. Your Child Takes Pleasure In Hurting Animals This isn’t just a sign that your kid is a potential bully; it’s a sign that your kid is a potential psychopath. Inflicting pain on small animals is a sign of a potentially warped view of what it means to be human, and a lack of respect and empathy. Don’t let your kid bully animals, and it will be easier to teach them not to bully people. If hurting animals becomes a pastime for your child, therapy might be in order. You’re A Bully The apple doesn’t fall far from the tree, and this is especially true for social interactions. If your child routinely witnesses you complaining, gossiping, or being hurtful to others, they’re not going to learn any different. Everyone occasionally bullies someone else, even the most well-intentioned and mature adults. But if you’ve got a problem with authority or heterogeneity, don’t let your child know. Ever. Until they’re about 30, your kids are pretty much allowed to blame all negative personality traits on you. Your Child Has Health Problems Disrupted sleep patterns in young children have been linked to exhibitions of bullying behavior. And if your child has a chemical imbalance — such as ADD or nonsituational depression — there’s always a possibility they could act out. Interrupted breathing, bad diet, and other physical maladies could also play a role. Mind and body are interconnected, and will always affect one another. Help your child to be healthy, and expect healthy social behaviors, as well.